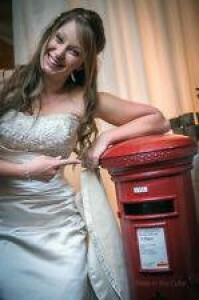 Angies Ice Cream Hire have the largest selection of Royal mail post boxes for hire in Yorkshire, we can offer several stunning very large free standing royal mail relpica post boxes in so many beautiful colours to compliment your day. Royal mail post box Our royal mail postbox is a fantastic sturdy freestanding large vintage replica postbox that is able to hold hundreds of cards whatever the occasion, we will deliver, decorate & personalise your chosen mail box with your very own personalised details all ready for you an your guests to enjoy. - You choose the colour. The wishing well mail box is beautifully made from carved wood and decorated in a colour of your choice complimenting your very special day. The wishing well mail box is unique and even has a lock & key. The well can be delivered to a venue of your choice an left all day an night, we will arrange collection the next day once you have removed everyones wishes (donations/vouchers/cards). 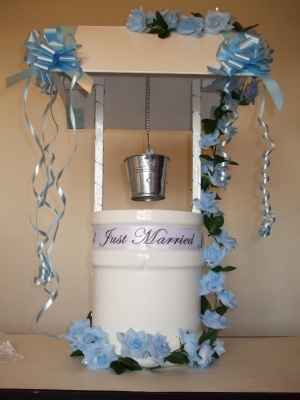 So why not hire our wishing well an watch your guests enjoy making a wish! 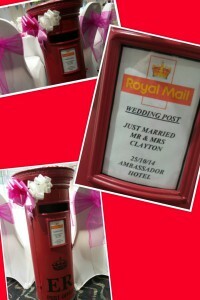 Whichever post box you choose we will deliver, set up, decorate & personalise the post box at no extra cost.